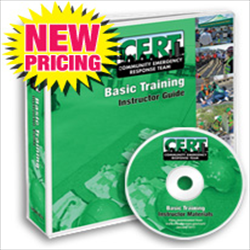 Community Emergency Response Team or CERT is a critical program in the effort to engage everyone in America in making their communities safer, more prepared, and more resilient when incidents occur. Community-based preparedness planning allows us all to prepare for and respond to anticipated disruptions and potential hazards following a disaster. This Manual comes with DVD’s and two free colorful posters displaying disasters. It is produced by ToucanEd.